According to the initial biennial updated report that Vietnam submitted to the United Nations’ Framework Convention on Climate Change in 2014, Vietnam released 225.6 million tons of CO2 equivalent in 2010, Five million tons were estimated to be from solid waste disposal. However, the gas emissions attributed to solid waste disposal only accounted for landfills and incineration. Tran Kieu Anh is making a more complete calculation. She has calculated gas emissions released by all methods of solid waste processing, including open burning and biological treatment. 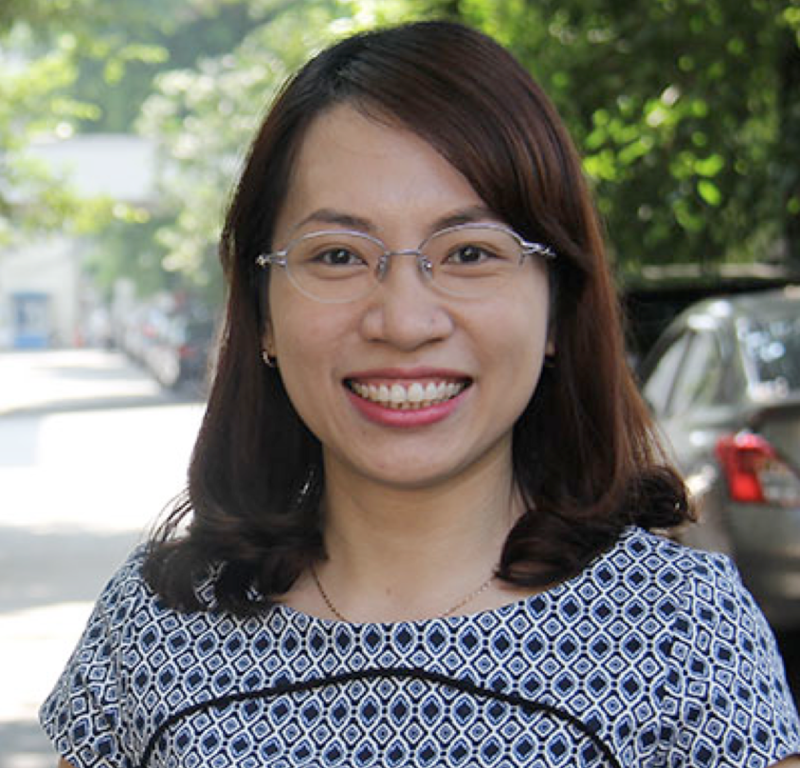 Educated with degrees in engineering and environmental sanitation from Vietnam and Belgium, Ms. Tran works with the Technical Infrastructure Agency of the Ministry of Construction. Her job is to manage Vietnam’s waste treatment technologies, which includes reviewing solid waste management systems employed across the country. She is also responsible for the upkeep of the country’s urban solid waste management databases. “My favorite task is updating our existing databases. The information helps investors learn about Vietnam’s capacity for solid waste management and find possible opportunities for investment in the country. It also helps the government better understand the sector and issue relevant and effective regulations,” she said. Vietnam currently has 660 landfills with a total area of 4,900 hectares and 35 solid waste treatment stations that collectively have the capacity to handle 6,500 tons of solid waste per day. According to Ms. Tran, a data inventory from all technical infrastructure systems across the country’s urban space is yet to be completed and needs a little bit more work in order for it to supply the statistics needed to allow a calculation of greenhouse gas emissions – particularly CO2. As one of the countries most affected by climate change, Vietnam is attempting to develop a low-carbon economy with the aim to promote the national strategy on green growth and sustainability. However, the country lacks the calculation tools and basic data for CO2 calculations. 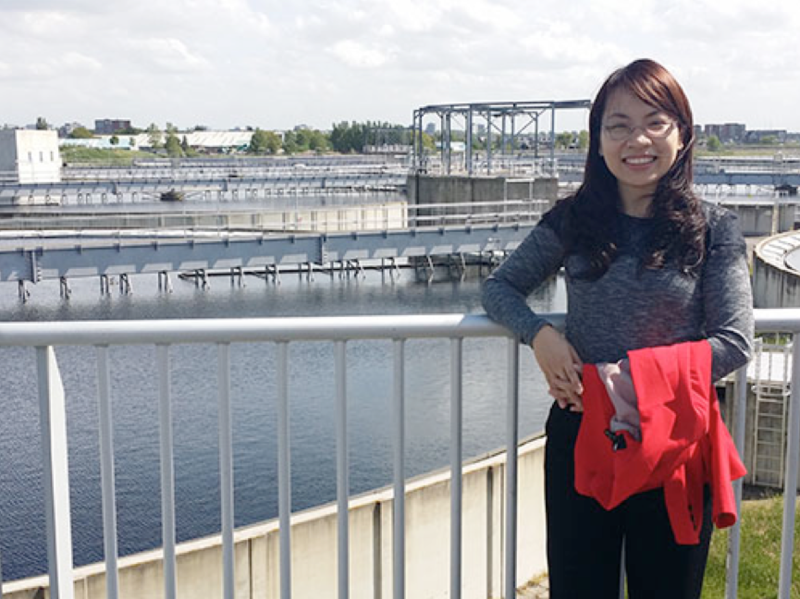 Ms. Tran visiting a wastewater processing plant in the Netherlands in June 2015. She joined an international delegation to learn the European country’s new wastewater treatment experience. To contribute to these efforts, the USAID Vietnam Clean Energy Program works on calculating the CO2 generated by water supply systems, solid waste and wastewater treatment, with a view to recommending possible solutions towards a reduction of CO2 emissions. Ms. Tran has been working with the program since early 2016, learning how to calculate CO2 emissions, and later, even proposing two scenarios for increasing the gas’ emissions reductions in the construction sector by 2020. 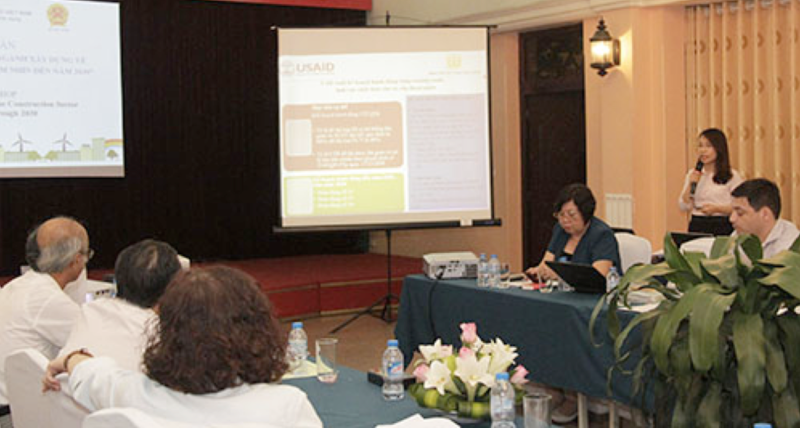 She is among the first in Vietnam to calculate CO2 emissions from all methods of solid waste treatment in the country. With help from the Program-provided emission calculation tools – which she early on realized had to be revised to suit Vietnam’s context – Ms. Tran was also able to conclude that buried solid waste releases the most CO2, followed by burnt waste and biotechnologically treated waste. “The information indicated that we are not able to reduce the amount of solid waste in Vietnam because of a growing population. A feasible solution is to choose appropriate technologies to treat urban solid waste and to prioritize sectors in order to reduce CO2 emissions,” she said. She added that the government has issued policies on solid waste management in an effort to promote green growth but there are some challenges. For example, there is no effective model for solid waste sorting and recycling. Solid waste management is not considered as important as other areas such as water supply and transportation, hence the shortage in solid waste management financing. “Other countries can sort out waste at source to reduce CO2 emission. Why can’t Vietnam do this? I work on seeking solutions for these issues,” she said. “Others may think I watch the clock as I’m just a state worker. However, I often work long hours with my team and frequently visit different sites in various provinces to learn about waste management conditions, which is essential for my work,” she added. Without the support of her family, Ms. Tran would not have been able to balance her work and personal life. 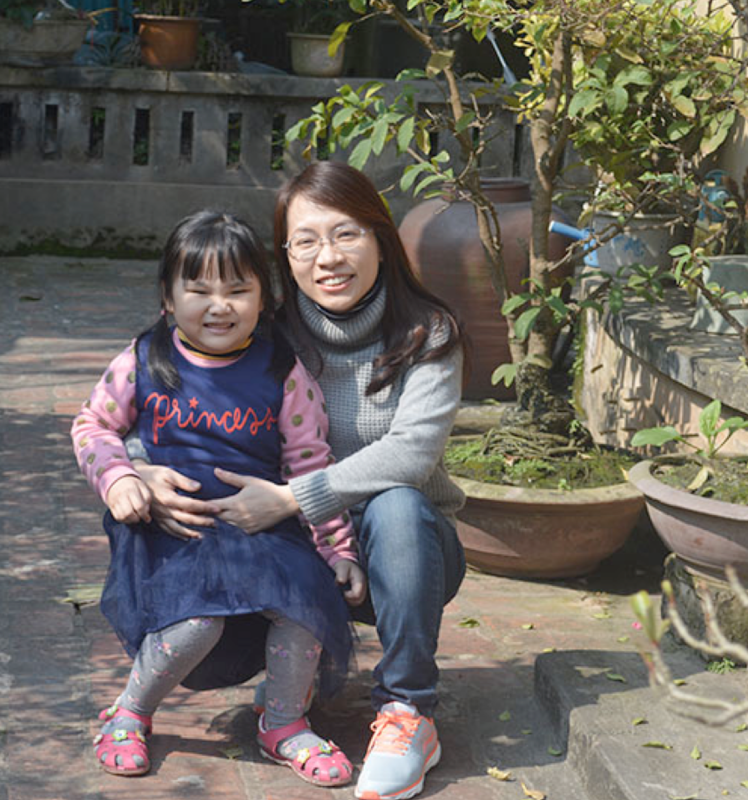 She lives happily with her family and her 5-year-old daughter.